Harry Chen at the 2004 AAAI SPring Symposium. Harry Chen explains his poster at the at AAAI Spring Symposium at Stanford. 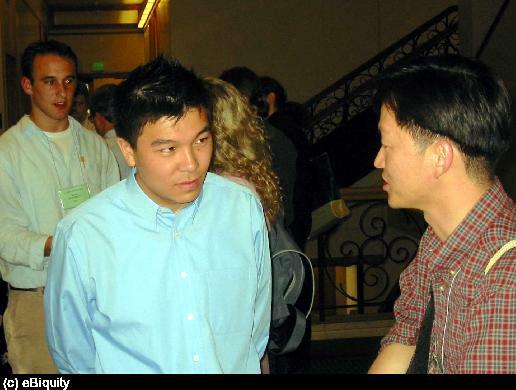 (Photo) Harry Chen at the 2004 AAAI SPring Symposium. shows (Person) Harry Chen.